Welcome to "The Alpha Legiondary Journey" series, which is going to be my way of communicating, sharing and brainstorming with you - the blogosphere and wargaming community - as I slowly create a 2,000 points Alpha Legion-themed list to be used with the Warhammer 40,000 6th Edition ruleset. Originally I was thinking of calling this segment "Alpha Legioning it Up", but I'm pretty sure the fact that English is not my native tongue isn't the only reason why this title is unpronounceable. Yeesh. My name is Skarvald the Troll-faced and I will be your host. Haha. with and against, stay true to the design of the Legion and remains fluffy. I will be using 6th Edition rules to accomplish this and will aim to create a 2,000 point list from the ground. A: A 2,000 points list is a nice, large army that can fit a lot of fun components in it. There is plenty of space to include a plethora of guys, toys and other things without having to sacrifice a lot of interesting options for efficiency's sake. Reducing the list down to 1850 or even 1500 points for various events and tournaments will be possible, but we are not trying to limit ourselves here. 2000 points will give us the space AND freedom to be creative. Q: Will you be using Allies, Modified Force Organization Charts and/or Forge World rules and models? A: I will split this one into three.. Allies - YES: Oh, God. Definitely. I simply cannot a way around it besides using the Codex: Chaos Space Marines and spamming Cultist. I will not be doing that, actually. I'm also not going to be using the Chaos Space Marines codex at all, but I will justify this in a few. Double FOC - NO: While at 2,000 points I am technically "allowed" to do so, Double FOC remains a questionable practice and something that I don't really like. I might consider it and do some "fun" lists in the future once I have some of the elements, but "Double FOC" is not something that I'll be going for. Forge World - YES: Ah, the big one. YES. I am for Forge World? Why? Because Forge World models are gorgeous, have some pretty interesting rules and because people should embrace it. Not to mention that with the price-gouging of GW's prices, Forge World models seem more and more like the better option anyways. I will not be using a LOT from Forge World, but I expect this to change once the Alpha Legion gets its Horus Heresy treatment in a couple years. Currently I'm thinking of two models tops. The Alpha Legion epitomizes trickery, infiltration, outmaneuvering and outsmarting and foot-slogging. 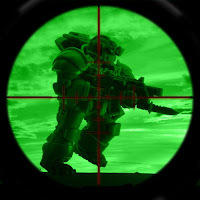 While they are just as good (if not better) at prolonged, direct combat, the Alpha Legion prefers to destroy from within, to ambush and slowly chip away at the enemy and to manipulate using subterfuge and propaganda. Information is crucial and the spy networks organized by them are deep and complex. Basically, if each Legion was represented by a god from the Norse Mythology, the Alpha Legion would be Loki himself. Anvil Industry. It's like Alpharius, Omegon and Sam Fisher had tons of lovechildren. 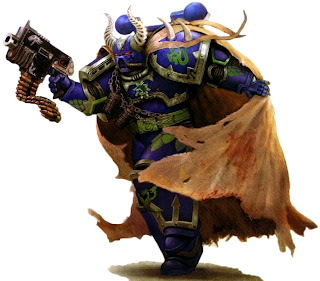 "Counts-As"/Interchangeable - If there is a Marine-based army whose style can be represented by more than one Codex, then it has to be the Alpha Legion. One of my main goals with this current Alpha Legion list and army is to create a foundation of units which can be used with more than one Codex. 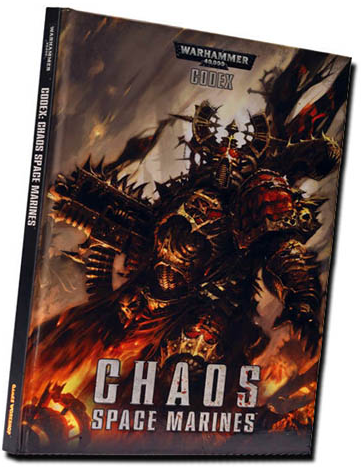 Currently I am looking at Codex: Space Marines; Codex: Chaos Space Marines and Codex: Space Wolves. The Alpha Legion have always been the most tactical fallen Marines. Many codices have a lot of fun and interesting ways of representing the Hydra's doctrine - from creating a Kor'sarro Khan list with tons of Outflanking due to his Combat Tactics, Combat Squad-ing Tactical Marines/Scouts and dropping elite Sternguard Veterans from the sky with Codex: Space Marines to all the infiltrating and Behind Enemy Lines fighting style of the Space Wolves.. In the next couple of posts I'll quickly evaluate a couple of the Codices which I think best fit the Alpha Legion style, choose the one I like the most and will ally Imperial Guard with it, because I consider I.G to be a necessary part of the Alpha Legion. Chances are you already know what the Alpha Legion is all about. I actually jotted down a lot of my ideas like a year or so ago before 6th Edition's Codex: CSM even came out. A lot of my speculations and wish-listing was for nothing, it seems. Nonetheless, the Alpha Legion is about combining Power Armor and cheap, but elite infantry that Infiltrates, Scouts and catches the enemy completely unawares and with his pants down. It's hard for me to choose which PA Codex would best represent the Alpha Legion play-style, strategy and mentality. Immediately, Codex: Chaos Space Marines stands out, though primarily because the Alpha Legion IS a Chaos Space Marine force to begin with. I tried and tried to force myself to like the Chaos Space Marine Codex. I really did. There are a lot of cool components about it - I like the ability to spam dudes in Power Armor and Cultists. And that's about it, really. My knowledge of 6th Edition is pretty limited, but every CSM unit has been dissected and over-analyzed by the community already - there are many losers and a few winners. Sadly, the winners are not those likely to wear the Hydra tattoo. Pros: Cheap, customizable basic Chaos Space Marines, cheap and efficient Chaos Space Marine Bikers, Cultists. Cons: The part of Codex: CSM that got the most "love" in 6th Ed. is not really Alpha Legion material: Icons, Marks and any units with Marks, including Psychic Powers, any Daemonic units/upgrades and Daemonic Vehicles (Defilers, Forge Fiends, Maulers, Hell Drakes) do not make a whole lot of sense in an Alpha Legion list. While the Alpha Legion is known to deal and use daemonic forces and tools, the theme that I want to pursue is that of a foot-slogging, inflitrating elite force which surrounds and dismantles the enemy piece by piece. 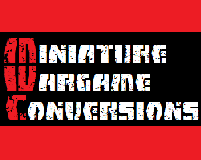 Sadly, it seems like there are a couple of really niche and "mandatory" units in the Codex: CSM which make the ruleset shine.. *cough*Hell Drakes*cough*, while other units get to sit on the bleachers and carve the Chaos Undivided symbols on all surfaces available. Eternal Hunt's very own, converted Chaos Cultists! + Warp Talons - At one point I was semi-seriously considering a minimal squad of Warp Talons to just drop in and Blind a unit, but with Blind being an Initiative check (too random and unpredictable) and Warp Talons counting as demons I just couldn't justify it. Also, talk about a one-trick pony! + The Warpsmith was also a cool idea, which I quickly realized was not going to work for me due to the lack of vehicles I plan to have on the battlefield. Being able to give vehicles Gets Hot!, though... Sigh. Such a shame - the model is gorgeous. 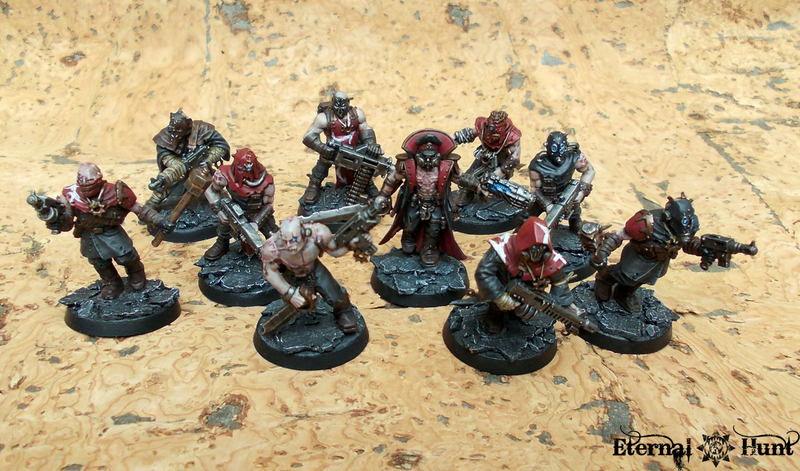 + Chaos Cultists, while cool lack any sort of decent customization. I'm glad that Chaos Space Marines finally got them, but with the addition to the Allies option there really is no reason to take them - Imperial Guard and Tau are better choices. + Dark Apostle also gets a special mention as a way to make Cultist cool and give them that extra flavor. Unfortunately there seems to be a pattern here - Games Workshop seems to be making a lot of exceptionally jaw-dropping models which happen to have really, really sub-par rules. As a matter of fact, if Codex: Chaos Space Marines was not so limiting I could easily see myself using some of the "Special Mention" units. Unfortunately, I cannot justify it. - Huron Blackheart, who is a well-rounded character with some minor psychic abilities, decent ranged attacks and decent close combat capabilities, but nothing to write home about. Okay, but Master of Deception is a fickle thing, allowing d3 units to get the Infiltrate USR. In the end, all the cool things in Codex: Chaos Space Marines end up verboten and trying to stretch the few elements that make sense for an Alpha Legion feels more like an annoying, unnecessary obstacle rather than a list-building challenge to me. Oh, and there's also the thing about Allies.. I, still, to this day don't get why Imperial Guard are considered Allies of Convenience with Chaos Space Marines! There are plenty of common reasons for both armies to fight together, following the Chaos Gods being the most obvious one, for example. You know, basically the mirror to why the I.G fight for the Imperium - because they believe in the God Emperor of Mankind and hate Chaos. It's possible to make it work. It's not hard, but once again.. - an annoying little detail. TL;DR: Codex: Chaos Space Marines is a huge NO-NO for me all things considered. I wouldn't mind playing an all-Nurgle Force one day, but for the purposes of "The Alpha Legiondary Journey"
Glad to see that someone else out there is dealing with the same inherent logistic issues as myself while trying to establish a fluffy AL army. First things first: You said it yourself, Legionnaires spread propaganda and work through elite human operatives...HOWEVER, they also work just as often through other Astartes units and footslogging hordes - meat shields, cannon fodder, service industry employees with pointy sticks, conscripts, PDF, you name it. The purpose of Chaos Cultists is to represent any non-Daemon, non-Astartes units that they would call upon. In my experience since the codex drop, they've worked WONDERS. Using Master of Deception to drop them in as an immovable screen, or to camp on an objective, or just be a 30+ wound unit that you simply CANNOT ignore from the start of the game makes for an effective difference in changing your opponent's options and how they open the game. Also worth mentioning is the Aegis Defense Line with 30 dudes gone to ground. Its not cheap, but it's effective if used correctly. Secondly, IG as Allies of Convenience was - I think - a tacit move on behalf of GW (although it did bug me, too). They did so to give a half-assed mention to Lost and the Damned from back in the Eye of Terror days, but the last thing they wanted was for too much spam between detachments. Think of MoD infiltrating an entire Infantry Platoon, or a Leman Russ squadron IN ADDITION to Creed's Tactical Genius, or a Valkyrie squadron dropping 3 melta-squads of Chosen (OR 6 Terminators/Mutilators apiece). I think they more than adequately established the limitations that they wanted for CSM when they had 6th published. @Misericorde: Thank you for taking the time to read through my ramblings. First of all, I am afraid that Scriptarius was with Wolves for the Wolf God for only a couple of articles. This is Skarvald the Troll-faced. Nice to meet ya. Check out Part II now! Ah, my mistake. Nice to meet you, too and happy hunting! I can at that, but they just FEEL right with the CSM version. Personal preference, though. Did you know you can create short links with AdFly and get money for every visitor to your shortened links. under my belt now and I still think that Chaos Space Marines are not the thing for me.